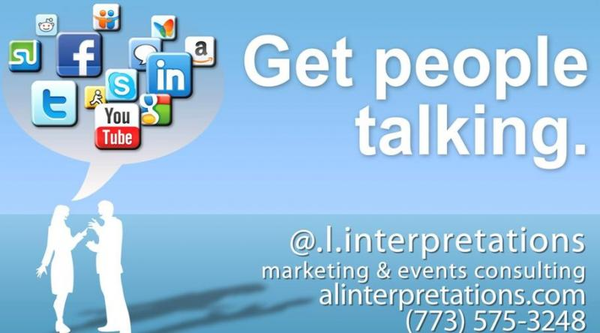 @.l.interpretations is an independent hand lent in providing comprehensive experiential guerrilla marketing & media services (online & social media; mobile & event marketing), communications & PR, print graphics, web administration & ghost-writing services. You're welcome. Annesa L Lacey is a 16+ year veteran supporting corporate and non-profit sectors in administrative, marketing and graphics production capacities. Lacey utilizes her expertise in publishing and social media marketing in the Chicagoland area through @.l.interpretations, an independent consulting firm specializing in comprehensive back-office administration, social media marketing and graphics.